Ohio’s foster care system has seen a significant increase in the number of children in protective custody. It’s one of the ripple effects of the opioid crisis. Last year, for example, a one-year-old was revived with Narcan after overdosing on an unknown opioid in Akron. The child and the child's 9-year-old sibling were removed from the home and placed in the custody of Summit County Children's Services. Summit County reports a 28 percent increase in the number of kids in protective custody in the last five years. Last year, nearly half of the removals were due to parental drug use. And of those cases, 44 percent involved opioids. In Cuyahoga County, the number of children in foster care doubled in four years, to 1,400 kids last year. 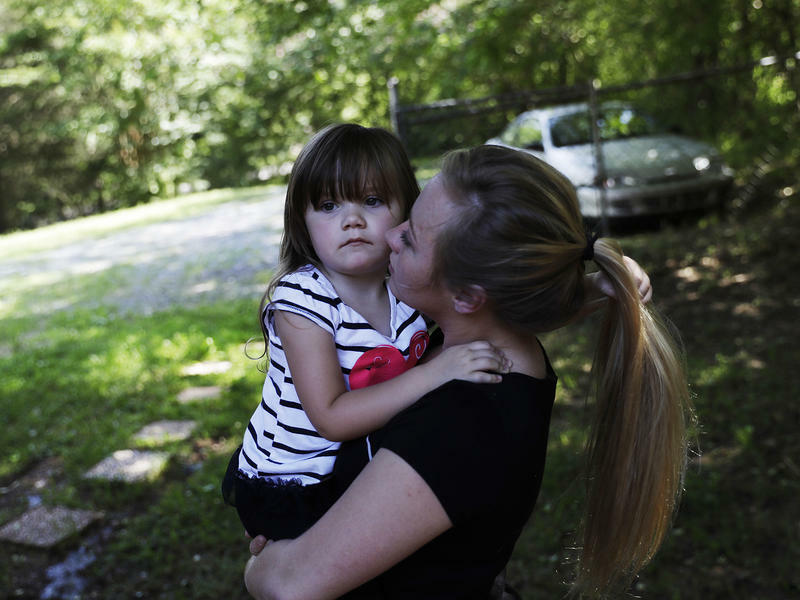 Statewide, one survey estimates that if the opioid epidemic continues at its current pace, 20,000 children will be in foster care by 2020, a 33 percent increase from today’s numbers. In an effort to keep up, the state is piloting a program in nine counties, including Cuyahoga, Summit, and Stark, to find the relatives of a child entering protective custody and recruit them to take the child in. The $1 million program, announced in 2017, is being managed by Kinnect, formerly called The Waiting Child Fund. “Yes, we’ve known for some time kinship care has better outcomes and is better for the children," said Kinnect's executive director Mike Kenney. “However, the truth of the matter is many counties struggle to find more than 4, 5 6 family members because they’re operating out of crisis mode and looking for a placement." The pilot program is called 30 Days to Family. It was developed seven years ago in St. Louis, Missouri. Kenney says its goal is to get a child placed with a relative within 30 days of entering the foster care system, or at the very least, connected to relatives who can provide support. “The natural supports, transportation to school, meals, cash assistance, just the things we rely on in our own network,” he said. Robert Myers, deputy director of Stark County’s Children Services Division, said it’s an approach that is challenging the quick placement crisis mindset of child welfare work. Myers said the 30 Days program promotes a new way of thinking about the search for a relative with whom to place a child in crisis. The result is that most child entering foster care still get placed with foster families – 45 percent in 2016, according to the U.S Department of Health and Human Services' latest Adoption and Foster Care Analysis and Reporting System Report – while 32 percent are placed with relatives. Stark County’s child welfare division has long had a goal to get better at family placement. Supervisor Rosalind Nenastil said the 30 Days to Family grant is allowing her to dedicate two caseworkers solely to family engagement. Stark County caseworker Jamie Horey said that kind of focus transformed a recent case involving five children. She unrolled a long scroll of paper onto the conference room table. This family’s genogram, or family tree, now included great-grandparents, great uncles and great aunts. Horey located them using Facebook, public records and online search tools like 411.com. Of the 25 children served so far through Stark County’s 30 Days to Family initiative, just four have been placed with relatives. It doesn’t sound like much when the need is so great. It’s a 16 percent placement rate. The goal for 30 Days to Family cases is 70 percent. Mike Kenney with Kinnect says the Stark County team took on tough cases, including a sibling group of eight whose relatives don’t live in Ohio. “I think the fact that they have, with these initial cases, have identified over 1,000 kin is incredible. The fact that they are seeing hope with cases that otherwise may have been seen as having no hope whatsoever," he said. Kenney referred to a study last year by the group, PolicyWorks, that found children engaged in the 30 Days to Family program spent 91 fewer days in foster care, saving taxpayers $10,000 per child. They were less likely to be bounced from home to home to home, and were more likely to be reunified with their parents and have good relationships with their fathers. “I am very confident when we look at the roughly 500, 550 cases that we anticipate serving over the next 18 months with this pilot program that we will see comparable if not better outcomes, “ said Kenney. Meanwhile, as the 30 Days to Family pilot proceeds, so do efforts to recruit more foster families. A foster care advisory group is to make its recommendations by May 1. The local governments suing drug companies over the opioid crisis say addiction has cost them—not just in damage to people’s lives, but in dollars and cents. It’s hard to come up with a price tag, though. Numerous different agencies handle prevention, treatment and response to overdoses. The federal government, state of Ohio, foundations and local communities are all paying for the epidemic. While the crisis hasn’t broken local budgets in the Mahoning Valley, it has burdened them, agency officials say. 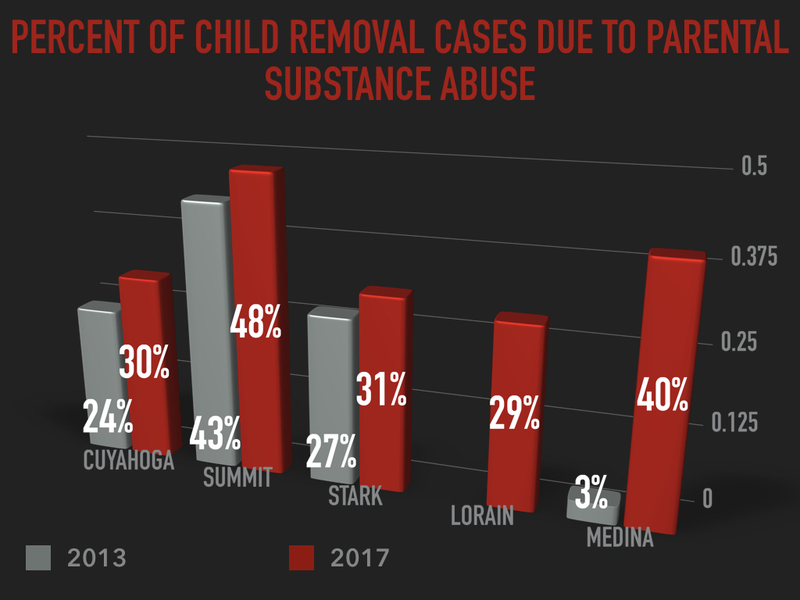 On the same day that the federal government released stats showing Ohio has the second-highest opioid death rate in the nation, the state’s children services’ agencies are saying their system is straining under the pressure of the deadly crisis. Among the many ballot measures and tax levies approved around Ohio, one in Vinton County could provide some relief from the opioid crisis.